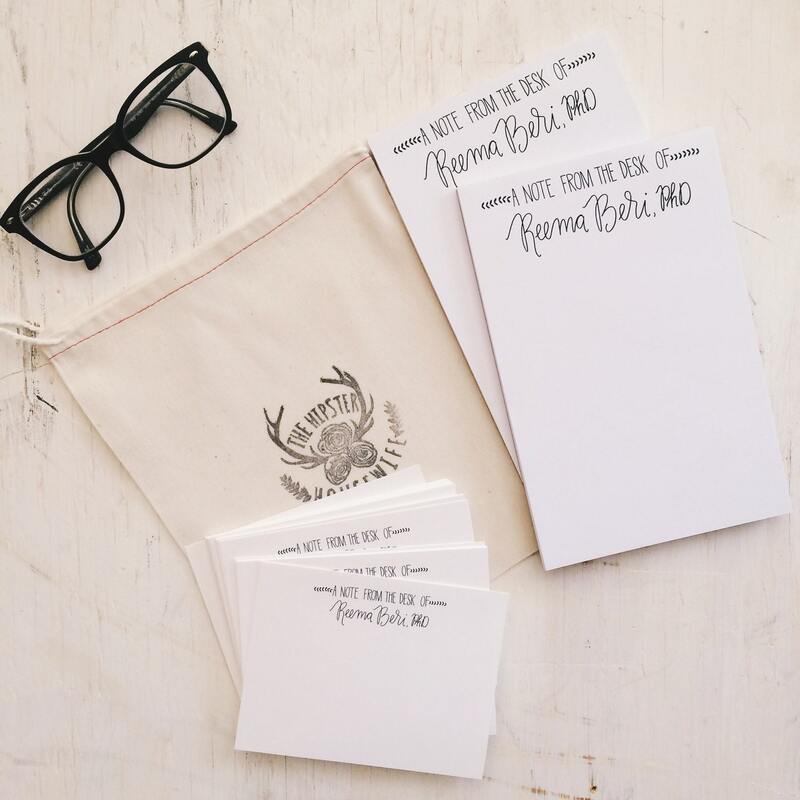 The perfect set of custom stationery to match our notepads, or just on their own! 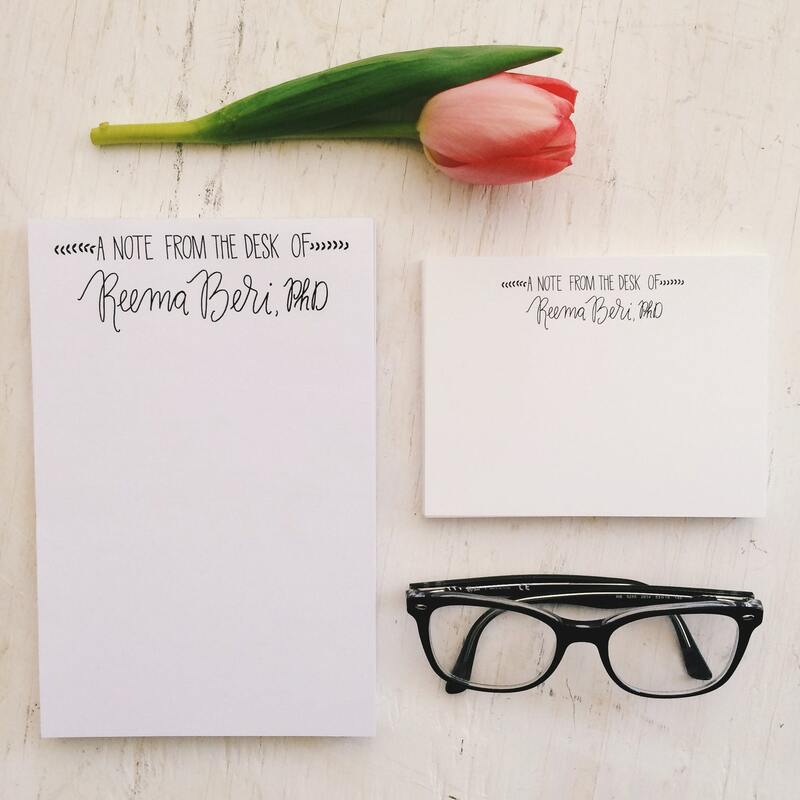 These personalized note cards are hand lettered in a unique, elegant design, and add that extra touch to all of your correspondence. 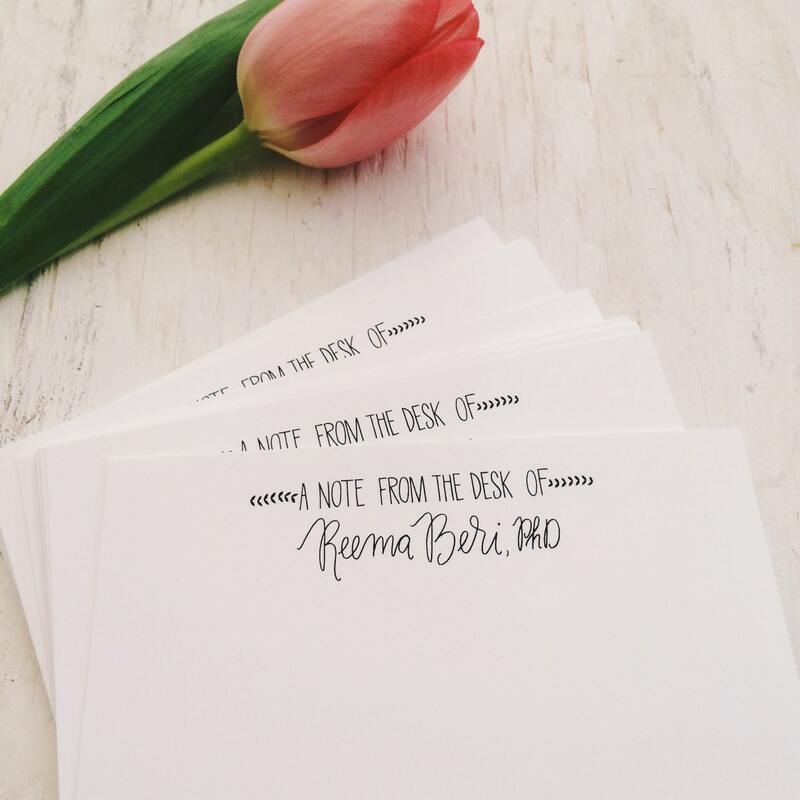 Would make a fabulous gift this Mother's Day, for a new bride, or for a recent graduate! Professionally printed at my local print shop on luxe heavy weight card stock. 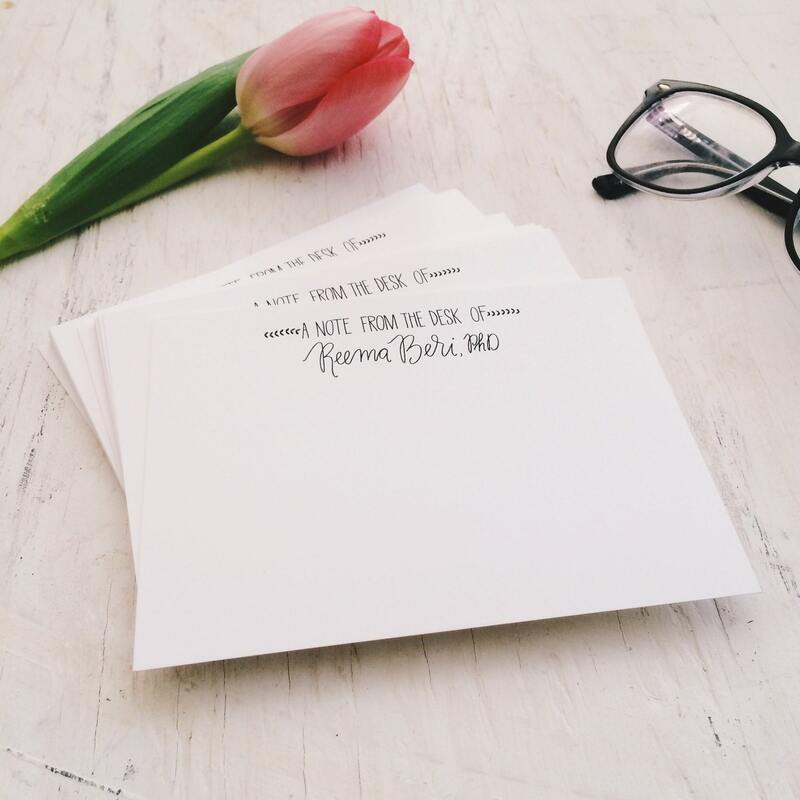 This listing is for a set of 25 A2 sized notecards. For different amounts or sizes simply send me a message and I'll get you set up! 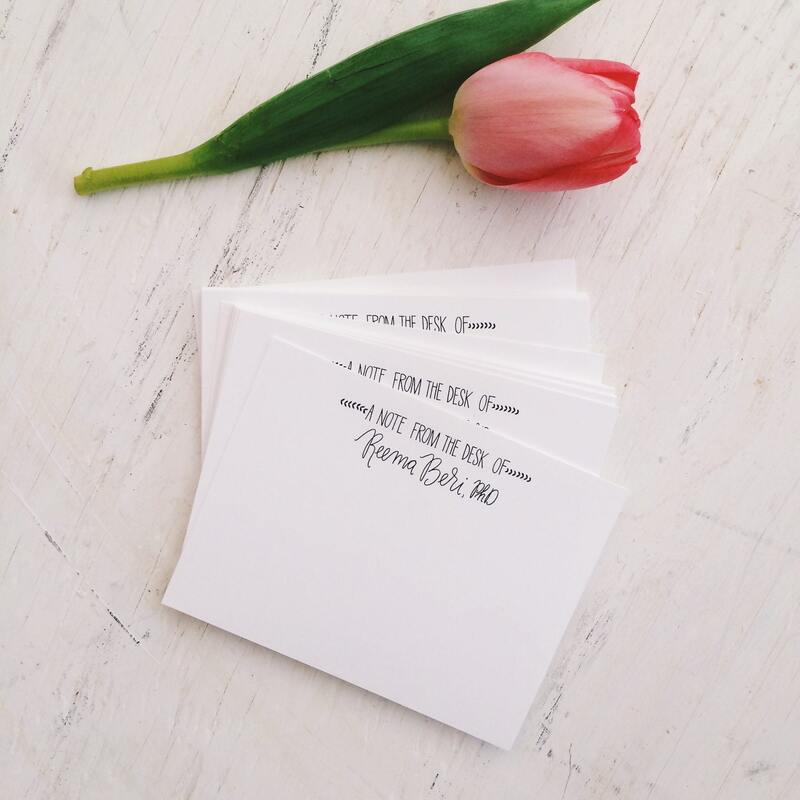 Be sure to leave the name you'd like on the stationery in the 'message to seller' box at checkout.